Split ends happen to all on occasion, however chronic split ends are not normal. You must cut a split hair. You cannot heal split ends. You can temporarily glue them together with treatments. Once hair splits, it is split. You cut it off, or it will continue to rip. A good hair care regimen should include a trimming schedule. You decide how often you will trim based on what you do to your hair. The Coily Queens Regimen recommends trimming your hair every 4th month. This equals three times a year. This is if you start out with totally healthy ends. 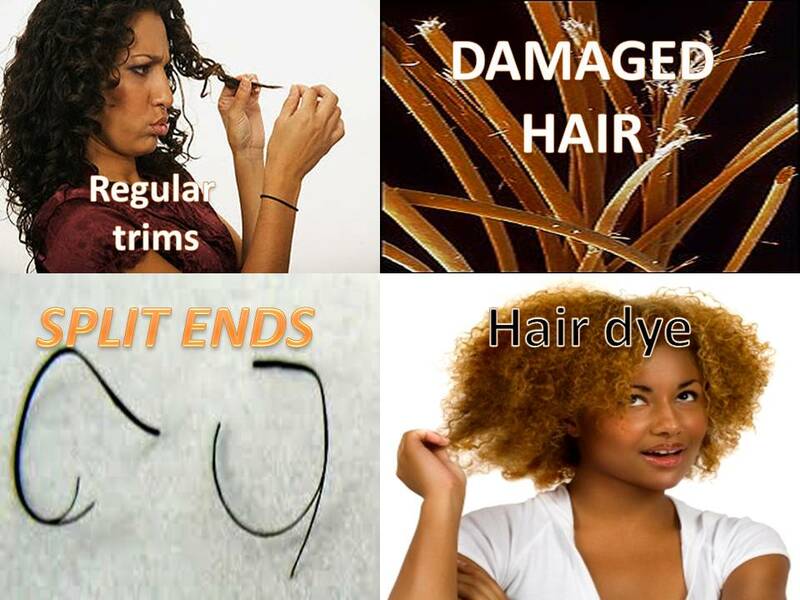 When you trim you hair on a regular basis, your hair styles better and does not pop and break as much. Your ends will split easily if you use flat irons, curling irons, blow dryers or pressing combs. Heat from these sources, dries the hair out. Because you are trying to maintain your straight style, you are not moisturizing it properly, and that dries it out even more. Harsh direct heat also weakens the protein bonds. Your hair is made of lots of layers that protect it, heat weakens those cuticle layers. When any of those layers become weak, your hair will split and eventually break. Using brushes and combs also weakens the hair bonds. It does it slower than harsh heat. If you use a brush even once a week, your ends will start to thin. The thinning is from the hair splitting and breaking. The end result is thin see through ends, which makes your hair hard to style. Using combs and brushes always require you to cut more inches off when it is time for your trim. The CQR recommends finger combing. Finger combing will save your hair. All hair is made up of mostly protein. Thus you must eat sufficient protein daily to keep the hair growing from your scalp strong. Include protein rich foods in your diet daily, foods such as: fish, nuts, beans are healthy proteins. Animal proteins build the strongest hair. Taking a hair growth supplement helps the hair to grow stronger and faster. Most of us are not getting a balanced diet daily, so supplement help to make up for diet. Cheap products that include cheap ingredients, sit on your hair and weakens your hair cuticle. Yes many of them give you good immediate results. Most of them are filled with harsh cheap ingredients and silicones. You receive great results when you first use the product, but long term use only leads to dried out damaged hair. Stay away from those products, the cheap price and empty promises are not worth it. You fail to include good protein treatments in your regimen on a regular basis. 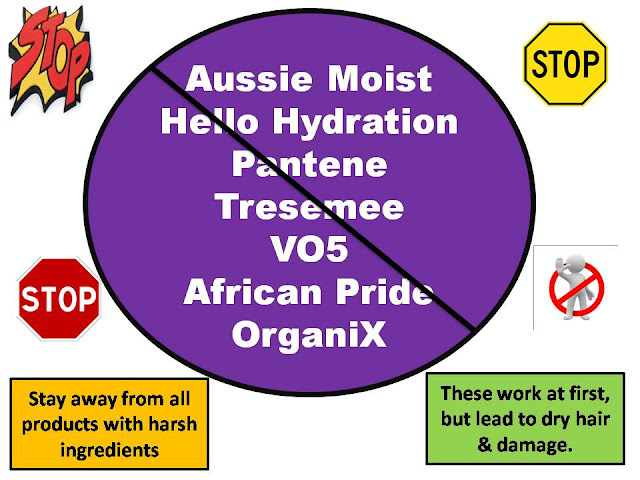 Many naturals, in error, feel they are protein sensitive. This is due to what they have read on hair forums. Your hair is protein so you are not sensitive to it. In most cases you have used the protein incorrectly or used the wrong protein product. 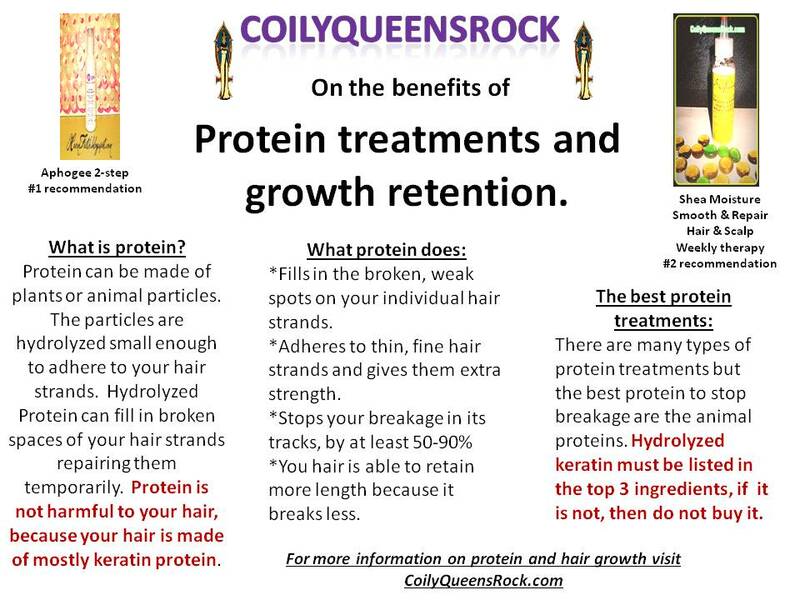 Not all protein treatments are created equal. 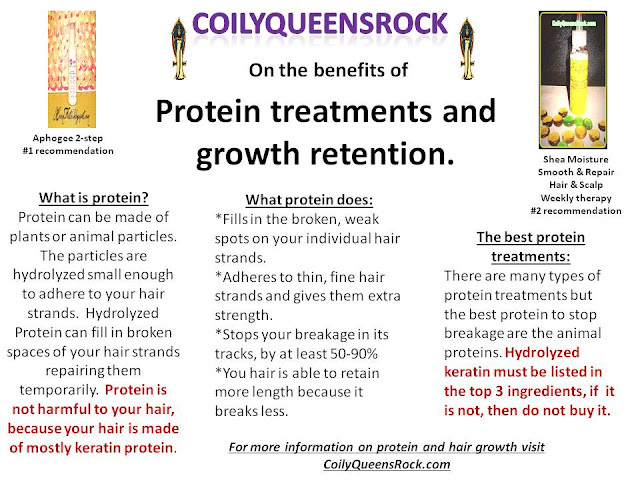 Look for a protein treatment that has hydrolyzed keratin protein in the top 5 ingredients. There are other types of proteins, but the animal proteins are the strongest. They give your hair the most strength. If you are going for beyond bra strap length, up your protein game!